Do You Know Someone Who Needs to Escape? 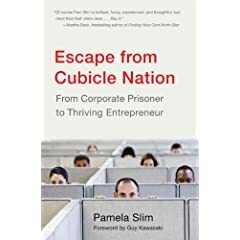 One of my absolute favorite people to hang out with, Pam Slim, has written a really smart book aimed at folks ready to ditch the rat race of the corporate prisoner for the freedom of entrepreneurship. And, if you are one of the first 500 to pre-order Escape from Cubicle Nation you will get a second, signed copy, free.